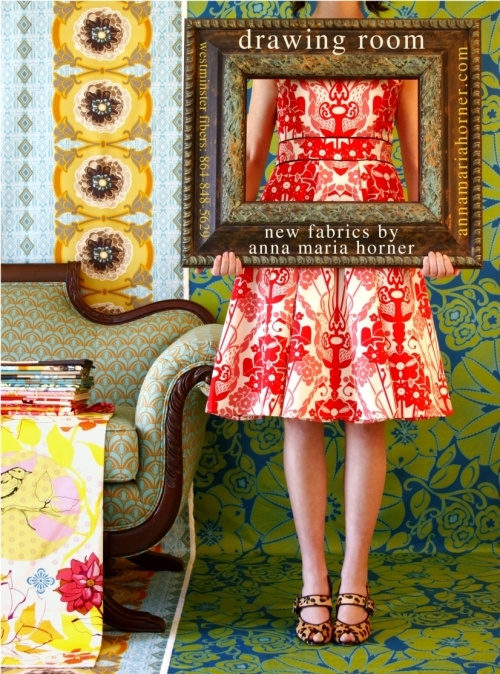 This is a fabulous spread for Anna Maria Horner's new fabric line, the 'Drawing Room'. I'm so blown away, and SO inspired I nearly cried when I saw her new stuff. She's just a fabulous designer and it gives me hope that someday (soon?) I'll get back into textiles and will one day - maybe oh maybe!! - have my own fabric lines too. Please check out her stuff - you'll be amazed! I would really like one of these for the bathroom, but I'll know better once we actually FINISH the bathroom and get the wall color picked out, etc.